Docents share history with students and community members. Do you enjoy working with students grades Kindergarten through 5th grade? 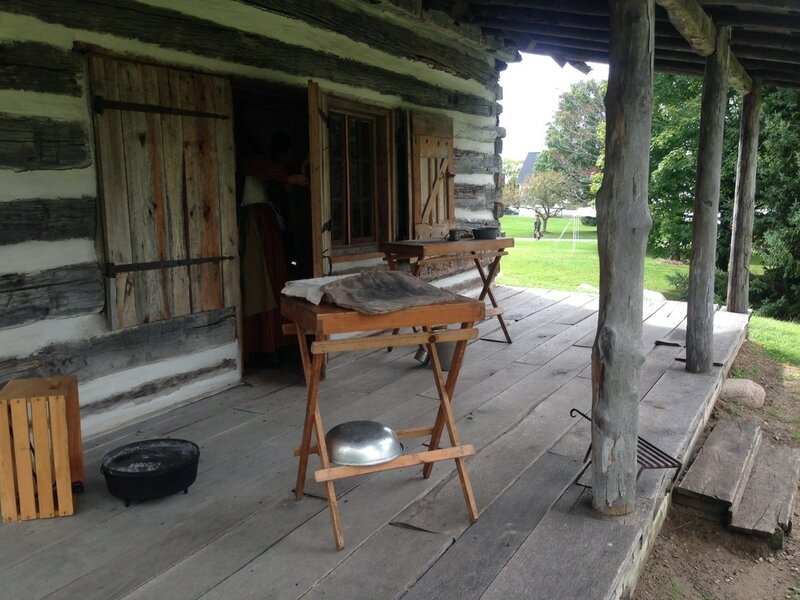 How about sharing history with members of the community as they wander back in time at the Village? Training is provided for anyone interested in the Village tours or events. Volunteer at community events. Mmmmm...the smell of freshly-popped popcorn! The Friends sell popcorn, and assist in a variety of other ways at our annual events such as Be Tourist in your Own Town and Heritage Festival. No knowledge of history is needed...just a willingness to bring in revenue for our organization. Restoration If you have experience with restoring fragile artifacts, we have a fantastic collection donated by members of the community. Maintenance Our historic buildings are always in need of maintenance, whether it is a loose board on the plank road that needs to be re-anchored or a major re-painting project.